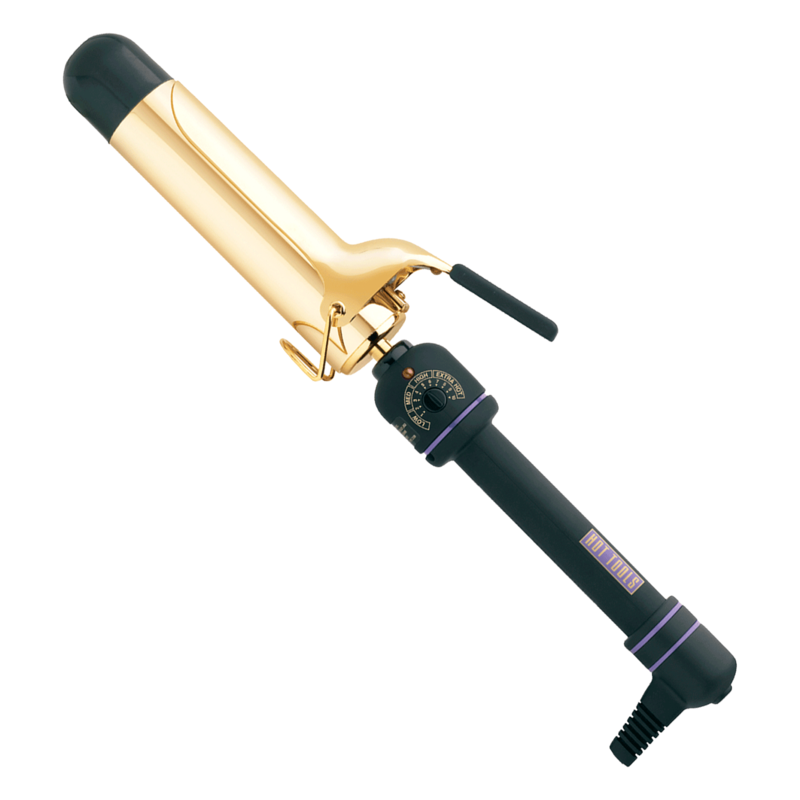 Hot Tools® 24K Gold Spring Curling Irons are the beauty industry standard in curling irons. The complete line of irons is available in various sizes, for all styling options. The high heats and even heat distribution create long-lasting curls and waves leaving hair looking smooth and glossy. The irons are equipped with patented Pulse Technology® for Gets Hot… Stays Hot® performance, for fast heat up and instant heat recovery – up to 430° F. Other professional features include variable heat settings, rheostat control dial for all hair types. Big beachy waves for long hair. Heats up fast and stays hot. Glides through hair without pulling. "Great for long hair, beach waves for people that just can't catch on to the wand. Also great for people that are tired of burning there fingertips with the wand. The clamp neatly tucks the ends of your hair in so you don't have random straight pieces."